We all have impact on the people around us in many ways. My recent television experience with Michael has had a number of people comment that they couldn’t do what we did. Influence is important when you have a passion and a drive to make changes. I have a passion to see all people in our society treated equally, in particular the GLBTI community and women. It seems so odd to me that a large section of our society has to struggle for recognition and equality. The Financial Review and Westpac have been running a recognition program to identify 100 women of influence for the last 3 years. Their website says that they are wanting to increase the visibility of women’s leadership in Australia. What a stark contrast of how valued Australian women are when we consider that only one woman is in the Federal Cabinet. Where are the voices of the other half of our population? There’s 100 of them being recognised today. One of them is Jo Cavanagh. In male speak, she’s my boss. That’s right. I work for a woman. I would not refer to Jo as my boss. I would say, this is Jo, she is the CEO at Family Life and we work together. If pushed further, yes, I do report to her and we have many robust conversations, we have a good working relationship that is honest and trusting. Let me now talk about why I admire Jo Cavanagh, OAM – CEO. Jo is without a doubt a simply amazing person. Through her own family life and history she has a passion for fixing the injustices in the world. Her life is dedicated to her own family – and they are equally amazing, and to her work. She heads up an organisation of 530 people, made up of volunteers and employees. Her passion for the well-being of children, women and families, the most vulnerable in our society is foremost in her mind. Our mission at Family Life is through effective services, support and connections, enable children, young people and families to thrive in caring communities. Without a doubt that is what we strive to accomplish. It’s not easy, however, Jo is up for the challenge. I’ve heard her speak on many occasions. Her passion is right there. From the moment she starts to tell the story it’s clear that she knows what she’s talking about, she knows what is required and she knows how you can help. When Jo engages with the staff of the Agency I know that she is trying to get the best out of us to reach our mission. When Jo advocates for our clients, our community, to our Government she does it with that same drive. Jo is always open to learning new things, she keeps up with the latest research, she understands the nature of people’s lives and uses her skills to try and make the world a better place. I’ve worked with Jo for over 15 years now. I’ve been a part of the growth here at Family Life. When I started we had about 20 staff and 1 office. We are now 130 staff and 13 sites. The budget has likewise grown. This doesn’t happen through anything but hard work. For that to happen you need someone who can drive the program forward. You need someone with passion, love and concern for those around them. You need someone who is forward thinking, can see what has happened in the past and what should happen in the future. You need a clear vision, a clear mission and you need to be influential. Jo Cavanagh is one of Australia’s Women of Influence. 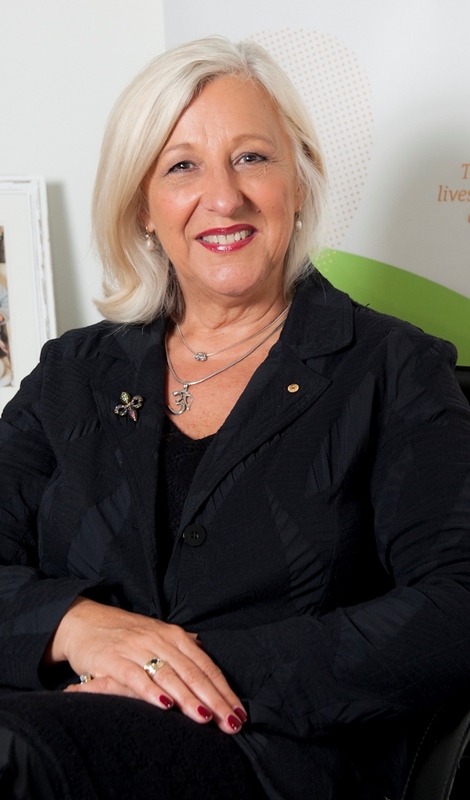 She has been recoginsed with an Order of Australia Medal and now as the 2014 Woman of Influence in the Social Enterprise and Not-for-profit category. It is fantastic to work with such a dynamic person and a true inspiration. Long may you influence. Long may you be inspirational! The world needs more people like you! I don’t know Jo as well as you Gregory but the little of Jo I know, yes, most definitely a Woman of Influence. Congratulations Jo.